Wow. It's been ages since I posted. Today I took the day off since it's my birthday. This is my present: blogging! Of course I have to give you something worthwhile and indeed, I have something worthwhile. The following video features yet another killer interview with Craig Campobasso, who announced a full-length version of Stranger at the Pentagon is in the works. The host of this particular show, knew and visited Howard Menger on his farm in High Bridge, New Jersey. He speaks of others who corroborate Menger's sightings and contacts with aliens from the interior of Venus. Brinkerhoff also mentions having met those who are in the "Ashtar Command" ... if you are unfamiliar with this, you should really look it up. Even if it was a hoax, whoever wrote the copy did a fantastic job. I've never heard of a contactee who personally met aliens in the Ashtar Command, so this was certainly an interesting interview. Hearing about a new Valiant Thor contactee is not something you hear very often. For this reason alone, I think this show is fantastic! Co-host Carla Anderson provided many entertaining remarks. Like when she was calling the United States' politcal leaders of the 1950's "scum bags." Craig was like, "I'm sorry."... "Can you repeat that?" and she said repeatedly. "Scum bags. Scum bags. Scum bags!" fricken hilarious [laughter]. Okay. Good times is here. Happy Birthday to me and hope you enjoy the video! Posted in Craig Campobasso, Dr Frank E Stranges, Human-looking extra terrestrials, Stranger at the Pentagon, Venusians. Tags: aliens, ashtar command, contactees, donn thor, extra terrestrials, valiant thor, venus on September 1, 2015 by Adam Milat-Meyer. It's been ages since I put a post up on this site, so I'll just quickly rundown the latest news. It's rare that I talk about anything terrestrial on this blog, but I recently produced the soundtrack for a documentary called John McGill Banned, that screened May 16th 2015 at the Art of Brooklyn Film Fest. I have to give a few shoutouts. Lots of work was put into the film, so special thanks to everyone who helped and saw the screening: John McGill and family, Michael Broz, Gabrielle Napolitano, Stoned Soul's Rishi Puntes, Eric Nevarez, Ali McMordie -- you guys are AWESOME! Don't miss Campobasso on the Un-X Tour next month! On June 12th 2015, Craig Campobasso, a Hollywood film producer and creator of the short film “Stranger at the Pentagon,” winner of the best Sci-Fi sort film at the Burbank International Film Festival in 2014, will present a lecture and show the film which covers the Pentagon visit in 1957-1960 by Valiant Thor. Craig will discuss the amazing story of Thor’s contact with Dr. Frank Stranges, President Eisenhower, and top Pentagon officials. All of the events are held at Unity Temple on the Plaza, 707 W 47th Street, Kansas City, Missouri, and start at 7:00 p.m. Doors open at 6:30 p.m. Tickets may be purchased in advance at http://www.unxnewsmagazine.com for $25 each or for $30 at the door. Call 816-833-1602 Mon-Fri CST for more information. Media are welcome but must register in advance. Posted in Craig Campobasso, Events, Stranger at the Pentagon. Tags: campobasso, stranger at the pentagon on May 18, 2015 by Adam Milat-Meyer. You can click on the image above to be redirected to the site where the interview is conducted. After viewing the film, it would be nice to leave a comment below on Vimeo. It would also be nice to share about it on social media and offline as well. 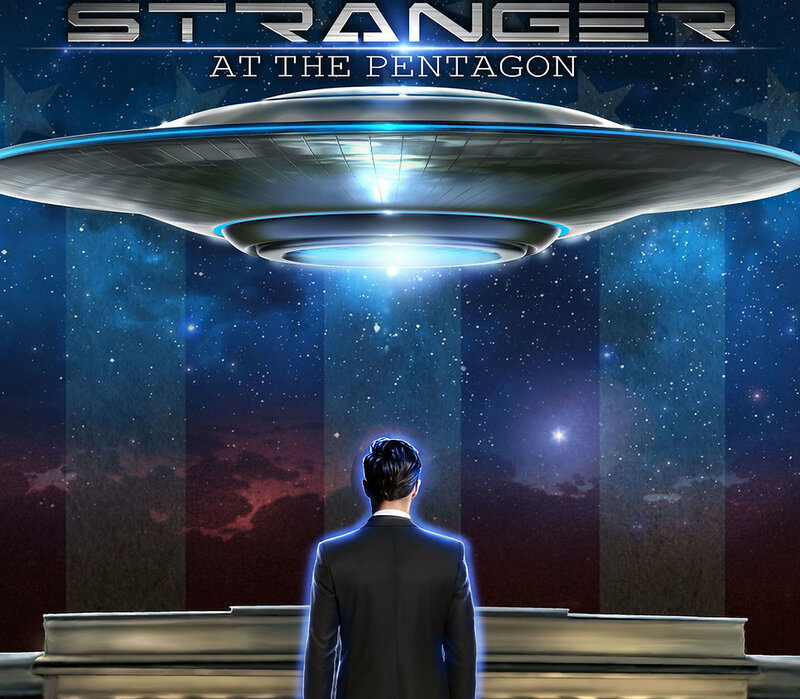 The purpose in producing a short was to attract an audience so Stranger at the Pentagon (originally a book by the late Dr. Frank E. Stranges), could be made into a full-length feature film. Kickstarter campaigns, calling-in favors, and good old-fashioned hard work got it this far. Please help by watching the movie and spreading the word. Of course contributing would be even better! In 1980, California native Craig Campobasso found himself working behind the scenes for four years on Frank Herbert’s Dune. The father and daughter producing team, Dino and Raffaella De Laurentiis, and director David Lynch, were Craig’s mentors into the business of filmmaking. Raffaella later hired him on the popular Christmas movie Prancer, starring Sam Elliott, as a casting director after he apprenticed as a casting associate on Steven Spielberg’s Amazing Stories. Craig has been casting for more than two decades and was nominated for an Emmy for casting David E. Kelly’s Picket Fences. Some of his other casting projects include Don Quixote: The Ingenious Gentleman of La Mancha starring James Franco, Horatio Sanz, and Luiz Guzman. Tremors 3 for Universal, & Sky Captain and the World of Tomorrow starring Jude Law, Gwyneth Paltrow & Angelina Jolie for Paramount, as well as working behind the scenes on Arnold Schwarzenegger's Total Recall & Conan The Destroyer. He is also an acting coach in the Los Angeles area. The outside ring of the ring of fire. hear this day my petition. Surround me now with your divine "Ring of Fire,"
the fire of divine abundance. I command the hand of almighty God on my behalf. our Lord and Master, Jesus Christ. Amen. The inside ring of the ring of fire. hear this hour, my earnest prayer. with your divine flame of fire. Revitalize and redirect my energies into divine service. cause me to be the master that you intended me to be. the Lord Jesus Christ, so be it! Note: The text was originally copied from the following site: http://gratisenergi.se/ringfire.htm however, I altered it to match Dr Frank E Stranges words in the video provided. Special thanks to Nick Bensond for posting the Ring of Fire Ceremony with Dr Frank E Stranges video on YouTube. Posted in Ring of Fire. Tags: Dr Frank E Stranges, Jesus Christ, protection from evil, Ring of Fire, valiant thor on August 31, 2014 by Adam Milat-Meyer. Named "W56" because the contact case began in 1956 in Pescara, Italy, the "Amicizia" or "Friendship" mass contact case was widespread. Dozens, if not hundreds of people in Italy and elsewhere were contacted by human-looking extraterrestrials. It is important to recognize that the contactees were not mentally unstable by any stretch of the imagination. They were prominent members of Italian society: writers, politicians, businessmen, artists, professors, etc. The latter is most peculiar. During the 1950's, barium nitrate was not yet used by humans for anything so it was difficult to come by. Decades later, it would have widespread military demand, but at the time, it was puzzling why the aliens would need this. The aliens would teleport the goods. They would disappear in an instant which was perplexing to the contactees. It would seem that if the aliens had the technology to teleport, why would they need humans to give them material goods of any sort? Could they not just teleport anything they want at any time? This point is perhaps more perplexing than anything else. The W56 explained that they have a number of bases on Earth, that are mostly deep underground. Some of these bases are so large there exists enough of an atmosphere that it can rain! This is the case with one of their main bases, which exists beneath the Adriatic Sea. They explain how they create such bases and how they can just easily close them. The W56 case is fascinating. There is a video I saw that states Edward Snowden found evidence that the USA government is aware of "ultra terrestrials" -- those who live within the Earth. Those who are far more technologically advanced then mankind. Perhaps the W56 are the ones they speak of? See this video. The W56 explained that they have been present on Earth for eons. "Akrij" is their real name. A plural noun in Sanscrit that means, "the sages". In other languages, it translates roughly to "people in high places", or "friends." They explained that they have enemies dubbed the CTR by the contactees, who represent pretty much the opposite of what the Akrij stand for. It's almost like the CTR act like a group of terminators! 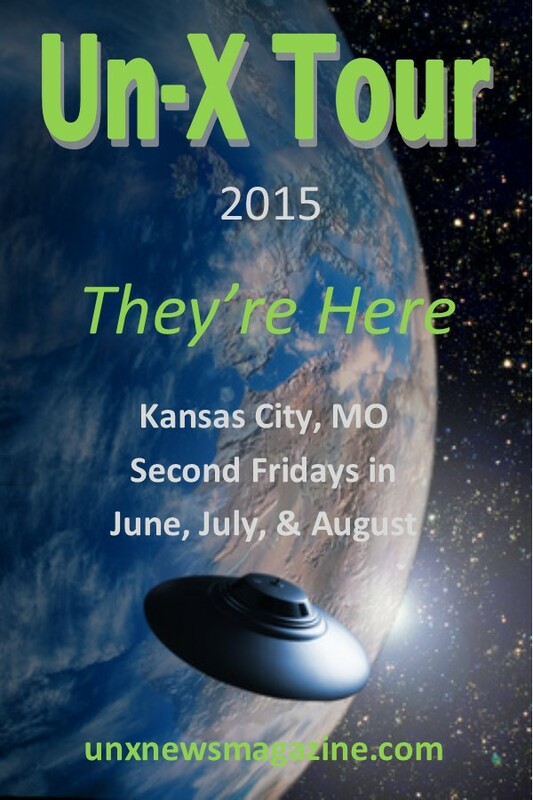 The contactees offer tangible proof that the aliens left them with. Close up photos and videos of their flying discs... The great Voltaire wrote a handwritten letter dated 6/6/1761. "May your wonderful flying machines bring you back to me" is sheet insanity. There were no airplanes or even gliders at that time as far as anyone knows. This letter is in the appendix of Mass Contacts. Most impressive is a picture of one of them. This too is in the appendix of the book, which makes the publication worth purchasing for this reason alone. 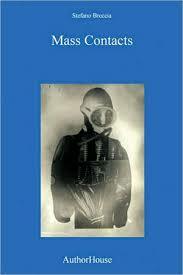 How many books can boast a picture of real-life ET? Of course, somebody could just come forward and say something like, "that's my cousin Marco" or something to this affect. So far the picture has been published in 2007 and the photo has been on the internet for several years and nobody has such a story. If you can prove otherwise, definitely contact me and let me know. Somebody put a picture of an average-sized human to give you an idea of just how tall the ET is, estimated at close to 10 ft tall. Posted in Human-looking extra terrestrials. Tags: akrij, amasticia, human-looking aliens, technology, teleportation, ultraterrestrials, voltaire, w56 on March 11, 2014 by Adam Milat-Meyer. I have been busy working with our Visual Effects team preparing all the 68 shots to go into the Short Film. Attached please find a "screen shot" of one of our finished VFX scenes featuring actor Jeff Joslin as Valiant Thor. Its one of the last shots of the film. Wait till you see it in motion! We are now estimating to be finished with the Visual Effects in March. And hopefully have the film completed in late Spring. Producer Tonia Madenford and I are also working on the title sequences with a Title House in Europe. Its turning out great! We already have our theme song composed. And its really awesome! I would like to personally thank everyone for all there love and support! I'll keep you posted when I can reveal more Visual Effects shots. To all great things coming your way in 2014! Posted in Uncategorized on January 27, 2014 by Adam Milat-Meyer. 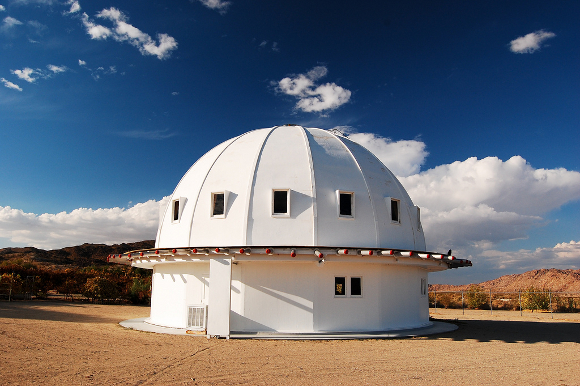 Integratron built by contactee George Van Tassel provides a “sonic healing” effect. "Need some sonic healing? This white-domed structure was allegedly built under instruction from aliens from Venus and its acoustics have attracted musicians, including the Arctic Monkeys" This article's snippet definitely inspired me to read more and I instantly thought to myself, "you know? I think I could definitely use some sonic healing!" Or at least audio healing. Great. Now I have to explain why I say "audio." When I used to be active as a musician, I remember when I recorded bass for a band called "Stoned Soul," we had a song produced by Jerry Wonda of Fugees fame, who was always talking about "the sonic", which was basically his trademark punchline. He would say something like "listen to this... this record is the sonic!" Instead of saying "music" I say "audio." 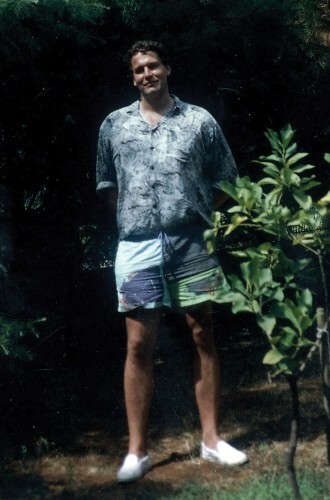 If I make the mistake of saying I used to be a musician, someone might ask me "what type of music did your band play?" I would say, "oh, I never played music. Only audio." That would usually get a reaction that would distract them to the point that they'd forget what we originally talking about. This is a good way to change the subject, since I then would not have to describe what Ghetto Country Rock is. None of this has anything to do with the Integratron, so I'm sorry I got off track. I wrote so much that I don't want to delete it, so it's going to have to stay. My high school rock band gets a shout. Usually I stick to the subject, but every once in a while, you have to have a little fun. Stoned Soul was a great band and I enjoyed being a part of the group for so many years. BTW, If you want to hear Jerry Wonda talking about "the sonic", check out this NPR interview. I remember reading about George Van Tassel years ago when I foolishly believed that the only type of "real aliens" are the Greys. When I heard there were aliens from Venus I thought that there's no way it could be possible since Venus is too hot. Then when I saw Van Tassel in an interview, I realized that I believe every word he says. Which leads to this promise: next blog post will be dedicated to George Van Tassel. The Integratron is at 2477 Belfield Boulevard, Landers, California, a 2.5-hour drive east from Los Angeles. Sound baths are held on a bi-monthly basis for $20pp and are filled on a first-come, first-served basis. Private baths start at $80pp, with reductions for groups. Posted in Uncategorized. Tags: arctic monkeys, california, dessert, george van tassel, integratron, jerry wonda, mojave, sonic healing, stoned soul, the sonic, venusian contactee on December 1, 2013 by Adam Milat-Meyer. 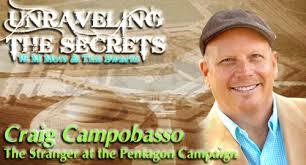 I am proud to say that I've corresponded with Craig Campobasso a few times via email. He was friends with Dr Frank and Craig is currently the top expert on Valiant Thor and it's so incredibly awesome that he is in the process of bringing Dr Stranges' classic book to the big screen. Craig is no stranger to filmmaking. He has tons of Hollywood credits going back to the 80s, having worked on blockbusters like, Dune, Total Recall, Silence of the Hams, and many more. Check him out on imdb.com. Specializing in casting, I've heard him say in an interview that the best part of his job is telling someone they got the part. Worst part of the job? "telling someone they didn't get the part." Posted in Uncategorized on November 24, 2013 by admeyer73. Posted in Uncategorized. Tags: commander, contactee, eulogy, stranges, valiant thor on November 19, 2013 by admeyer73.